The plan, which still requires approval from the Illinois House and Gov. Bruce Rauner, would also fund Monetary Award Program grants for low-income students in the state. 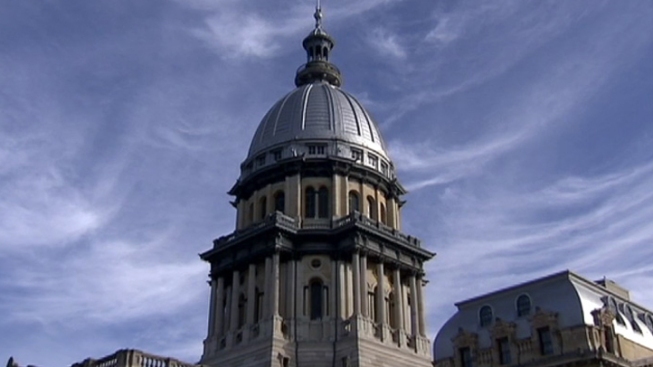 The Illinois Senate approved portions of its bipartisan “grand bargain” Tuesday, passing a spending bill that would fund the state's beleaguered social service agencies and public colleges through June. Throughout much of the nearly two-year budget stalemate, Illinois' social service agencies and public colleges and universities have suffered without state funding. The Senate plan, which still requires approval from the Illinois House and Gov. Bruce Rauner, would also fund Monetary Award Program grants for low-income students in the state. “Today, the Illinois Senate did what the governor and House leaders have failed to do, put the people of Illinois ahead of political games,” state Sen. Melinda Bush said in a statement. “Senators from both parties came together in an effort to end the budget impasse and finally move Illinois forward." The supplemental funding is part of the Senate’s broader budget plan, which is comprised of a series of interdependent bills. The Senate passed some of those measures Tuesday, including bills to fund Chicago teacher pensions and expand gaming revenues by authorizing six new casinos throughout the state. However, Senate President John Cullerton’s pension reform bill failed Tuesday for the second time. Cullerton placed the measure on postponed consideration so it can be voted on later, which is important because all the bills in the package need to pass for any to become law. In addition, the Senate passed bills Tuesday that would reform the state’s procurement process and consolidate local governments. Those measures also await approval from the House and the governor. During his annual budget address earlier this month, Rauner lauded the Senate plan, which includes a Democrat-favored income tax increase alongside elements of his turnaround agenda. The Republican said he's open to raising the income tax and expanding the state's sales tax to get the Senate deal done, but claimed it's "not fair" to include a permanent income tax increase with only a temporary property tax freeze. Instead, he encouraged members of the General Assembly to pass a permanent property tax freeze, like the one passed in the House last month. Despite his newfound flexibility, Rauner noted that he wouldn't support new taxes on food, medicine or retirement income. The Senate will reconvene in Springfield Wednesday.